Autism is extremely complicated. There is no single cause of autism. One of the key areas of autism research is understanding its causes. Identical twins have identical genetic information. Because the likelihood of both identical twins getting autism is not 100%, there has to be more than just simple genetics. Fraternal twins and non-twin siblings share 50% of their genetic information. Despite this, it is still more likely that if one fraternal twin has autism, the other will also develop it than in non-twin siblings. This means that there may be something in their shared environment (in other words the womb) which contributes to the likelihood of developing autism. So what do we know about autism genes? Single genes – there are no single genes which cause autism itself. However, other rare neurodevelopmental conditions (for example, Fragile X syndrome) which are caused by single gene mutations sometimes result in the development of autism. Combinations of genes – in other cases, autism is caused by a combination of genes. New (de novo) mutations are mutations which are not inherited from the parents. These develop in the sperm, the egg, or the fertilised egg. This is how researchers believe that older fathers can increase the risk of having a child with autism, because there are more mutations in their sperm. There are hundreds of genes associated with autism. We understand the genetic bases of around 25% of cases of autism. Researchers are now finding that the known genes are fitting into common networks. For example, some genes are associated with brain signalling. (in other words the womb)? 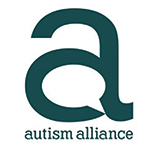 We know that some medications, for example valproate, taken during pregnancy can increase the risk of autism. We also know that some infections, like a rubella infection during pregnancy, can increase the risk of autism. Beyond that, there are many suggested factors, but there is still much research needed to confirm those factors. We are a long way from fully understanding the causes of autism. New studies are published every day, which add to our understanding. The information on this page is designed to give you an overview.